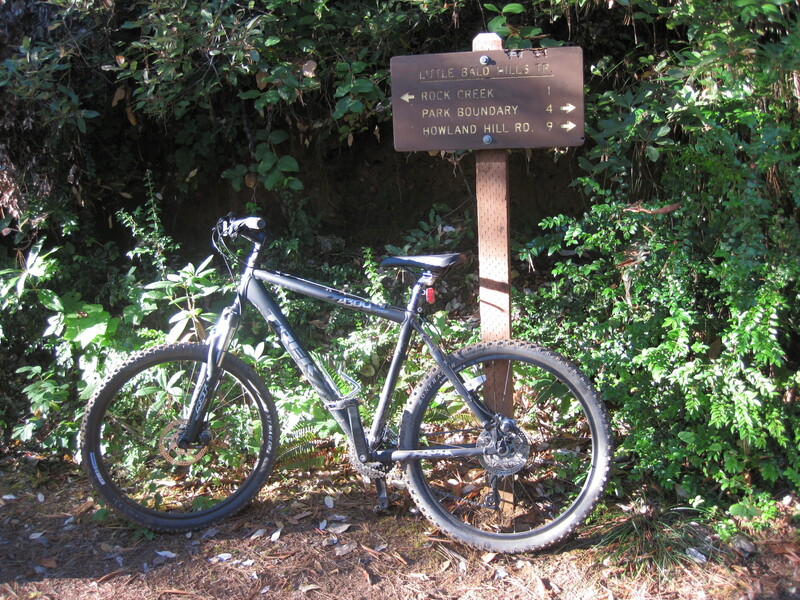 Directions: From Hwy 199 about 1 mile east of Hiouchi, turn onto South Fork Rd. Travel 7.3 miles on South Fork Rd; trail is on the right (west) side of the road. *By 2012 this trailhead should have a new parking lot on the east side of the road and just beyond the trailhead. It will allow space for horse trailers and access to Sand Camp river access. Paradise trail is so named because it ascends from Paradise Flat (also called Seven Cabins Flat), the area across the road and adjacent to the South Fork Smith. That spot was once the location of a lodging facility and rest stop along a pack route to Haines Flat. 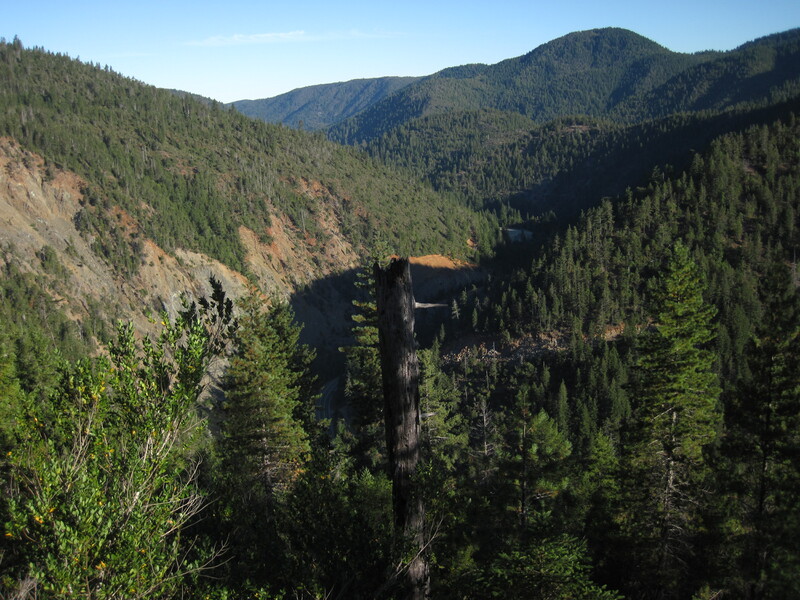 Paradise trail is a short steep sojourn onto a ridge above the South Fork Smith River. The trail pops with wild iris and the sweet smell of western azaleas in the spring time. This 1.1 mile hike up the side of a ridge can be an out and back hike or continue onto the Little Bald Hills Trail for a full day of hiking or biking. On a hot summer day the shade of Douglas fir and knob cone pines shades the trail. If you work up a sweat on the way down the nearby Sand Camp river access is a great place to rest on the beach and take a dip in the soothing waters of the Smith River.